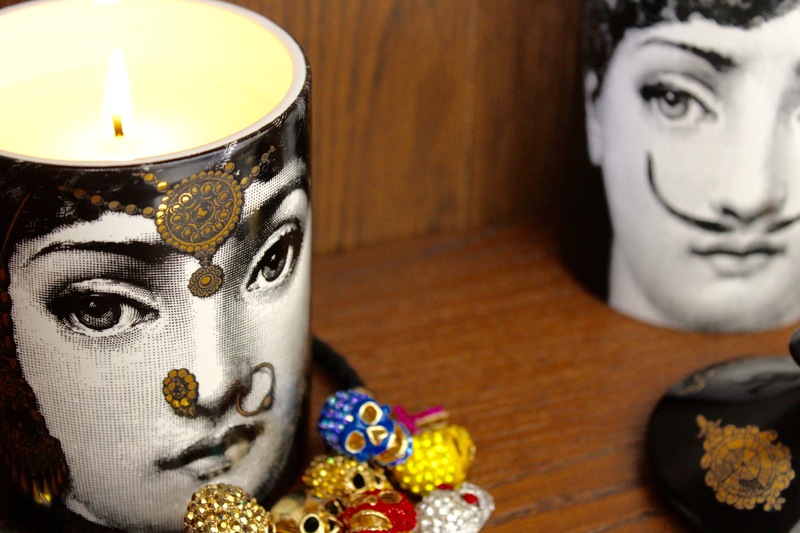 On my list of things I’ve always wanted to own, a Fornasetti candle is right up there. Or ‘was right up there’, I should say, because I now own two. Now, the reason I have lusted after one of these candles so desperately is down to the simple fact that they are just so darn beautiful and dare I say, a little bit kitsch too. Fornasetti candles are as much ‘objet d’art’ as they are vessels for home fragrance, meaning that they can make one’s home smell beautiful whilst drawing the eye to something decorative too. They do what many candles don’t, which is smell good whilst also creating a talking point, adding a touch of something unique to any room. Piero Fornasetti was a Milanese artist who painted, made sculptures, designed interiors and engraved books, amongst many other things. He is arguably one of the most prolific artists of the 20th century, having created over 11,000 decorative products within his lifetime. Following Fornasetti’s death in the 1980s, the artist’s son, Barnaba has continued the brand, reviving and reinterpreting his father’s designs, placing them on a number of items, ranging from plates to umbrellas and of course, candles too. Fornasetti’s signature design centres around the artist’s muse: opera singer, Lina Cavalieri. The classical features of her distinctively beautiful face have been reproduced in over 350 designs, showing her in range of guises, many of which have been abstract, whimsical and humorous, to say the least. Fornasetti candles boast numerous designs, many of which see Cavalieri’s form presented as a range of characters, or simply focusing on her features. The designs also verge on the wacky with candles printed with sardine and fountain pen designs. Yup, that’s right, Fornasetti certainly knows how to make the sublime out of the ridiculous!